From cell phones to laptops and electric cars to hoverboards, portable electrical power and lithium ion batteries are part of students’ lives every day. They’re also the result of scientific inquiry and engineering. 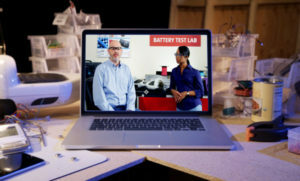 This UL Xplorlabs module encourages students to use scientific inquiry to engage with portable electrical power, teaching them how batteries convert energy, introducing the phenomenon of thermal runaway and inspiring them to think like a scientist to identify essential construction and performance requirements that address the inherent risks a product could present. 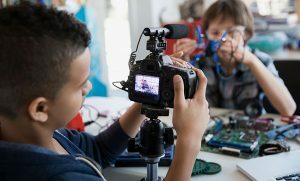 Students will develop useable knowledge to explain real-world phenomena by learning how to define a problem, build a solution, test a design and analyze and extend results. Each element of the module has been designed to supplement and enhance teaching methods whether they are used in full or in part, in the order below or in order of your choosing. For the best experience, we recommend beginning with the Interactive Video. 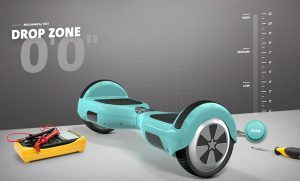 A simulated set of tests that put your students in the role of safety scientist, dropping and overcharging a hoverboard under various conditions to evaluate how well it holds up to the stresses and abuses of everyday life. 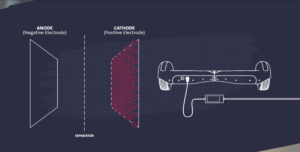 Investigate energy expressed as heat, evaluate materials according to the UL Safety Standards process and build a safe, durable hoverboard with these three hands-on experiments. Each experiment can stand alone, but we recommend completing all three. Keep the learning going with creative classroom challenges. For a link to the National Research Council’s definition of Science and Engineering Practices, click here.